Having a cosmetic procedure is an investment in yourself – both how you look and how you feel. 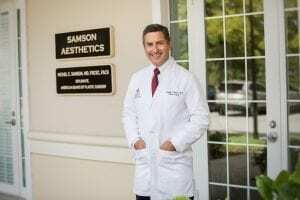 If you’d like to make a change in your appearance, but you’re worried about the cost, Samson Aesthetics offers convenient plastic surgery financing to fit your budget, so you can have your procedure on your schedule. Dr. Samson works with CareCredit and Prosper Healthcare Lending, two premier companies in the cosmetic surgery financing industry. Our staff members are willing and able to help you get started with your financing application. We review all surgical fees upfront with patients following the consultation with the Doctor. You will have a complete picture of the cost of your procedure prior to leaving our office.